Affordable Heating and AC is not just another Heating & Air Conditioning company – we have been your neighborhood heating and cooling experts for over 20 years! Serving you is the foundation on which our reputation was built, and on which we continue to build. Not only is Affordable Heating and AC your number one choice for Furnaces and other Heating Services – from installation and regular maintenance, to safety inspections and tune ups – we are your Home Heating information resource. And we are at your Service 24 hours a day, 7 days a week. If your furnace is showing signs of wear, or perhaps is an older, less-efficient model – replace it with a new, high-efficiency model from Carrier, Lennox, or Trane. You may even be eligible for significant tax credit (up to $1,500 for a high-efficiency gas furnace) or Manufacturer rebates. 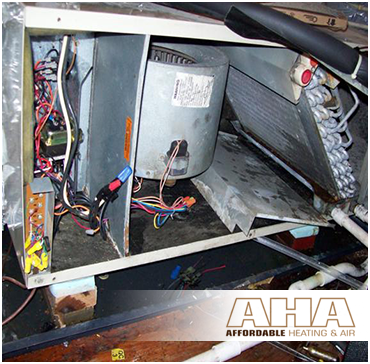 Contact Affordable Heating and AC today for more information. A new furnace will provide your home or business with years of reliable indoor comfort, with the benefit of lower energy costs. With many options available – from Propane and Gas Furnaces, Geothermal Systems, and Solar Furnaces to Heat Pumps, Electric Heaters, Vent-Free Heaters, Ductless Systems and more. With Affordable Heating and AC, you can rest assure that all of your in-home heating and furnace needs will be looked after. Our expert professionals know how to provide you with reliable, state-of-the-art, energy efficient heating in Atlanta and the surrounding communities. No matter the weather outdoors, you can stay nice and cozy in the comfort of your home. That’s because we are Atlanta’s trusted source for installing, repairing, and maintaining your in-home heating systems. Whether it’s an emergency repair, a tune-up, or a new installation you need, Affordable Heating and AC has both the skill and experience to get the job done. Even better, we can do it in a way that satisfies your budget and your schedule. Call Affordable Heating and AC and let us get your air flowing again.